Carpenter Bus Sales offers the most value in the bus industry because of three things: Our parts department is open for business 24 hours a day and 7 days a week. We ship parts all around the world. Our parts department can help keep your bus on the road for years to come. With over 15 total service bays & decades of experience, we can do any repairs on your bus. 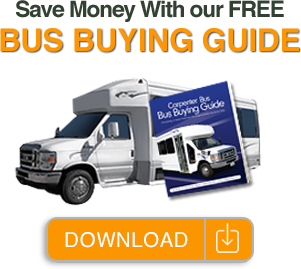 Our bus warranty is the absolute best in the bus business. It offers the peace of mind to purchase without fear. One of the greatest ways to let the public know about your business, community or church is to have your bus outfitted with professional graphics, lettering and logos. We can do everything from simple lettering to full bus wraps.